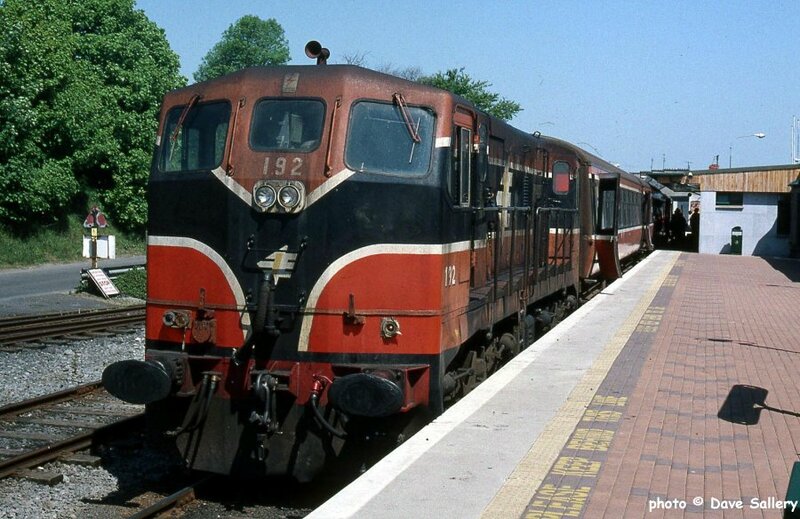 192 is on the Manulla Junction to Ballina local, 29 May 1997. 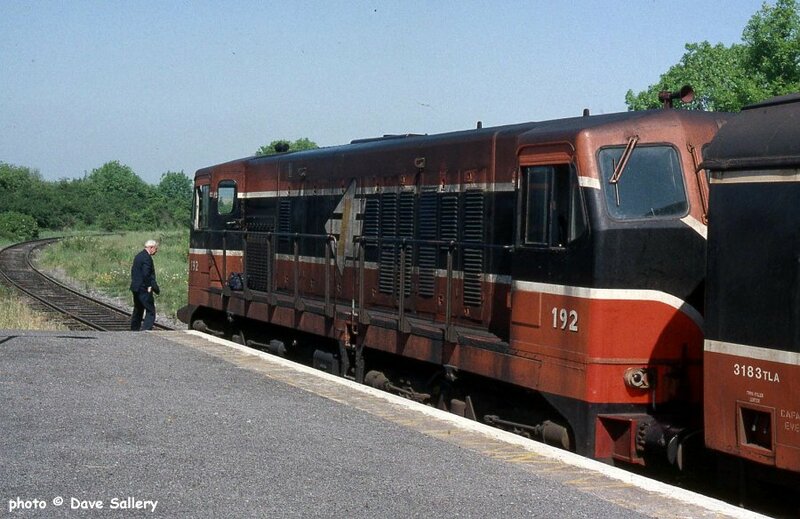 192 at Ballina, County Mayo, 29 May 1997. Containers of dangerous chemicals were loaded in the goods yard, which explains the windsock. 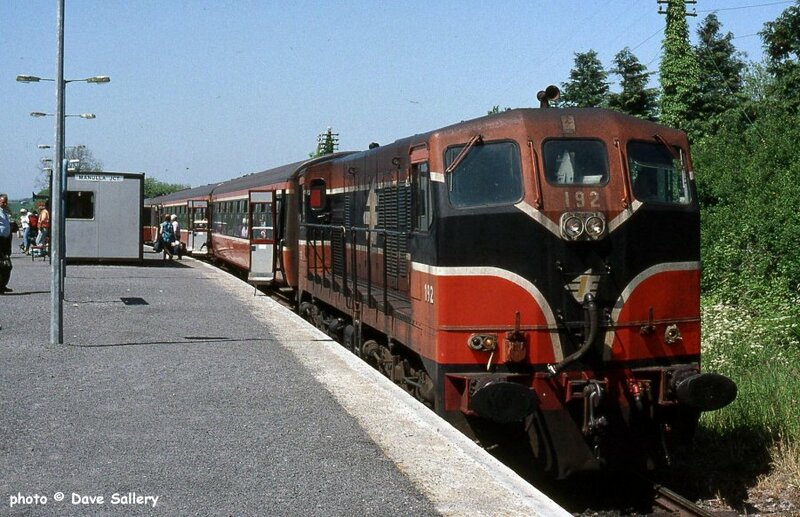 192 running round at Ballina, 29 May 1997. 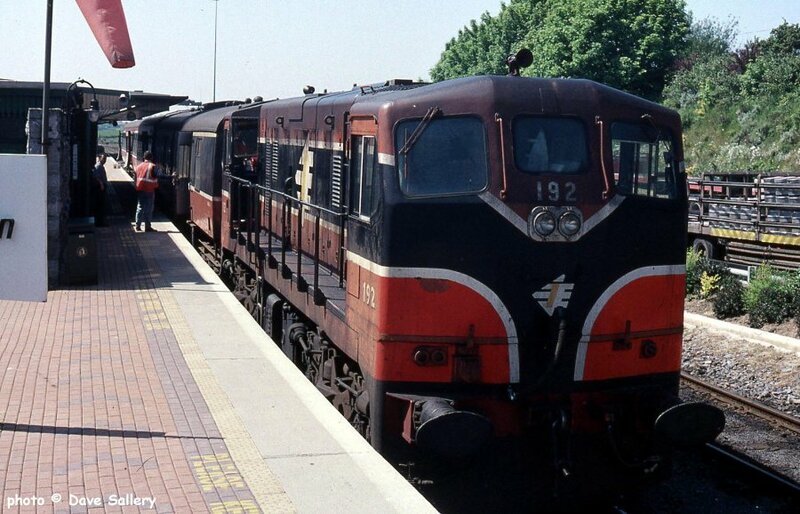 192 reattached to its 3 coach train, 29 May 1997. 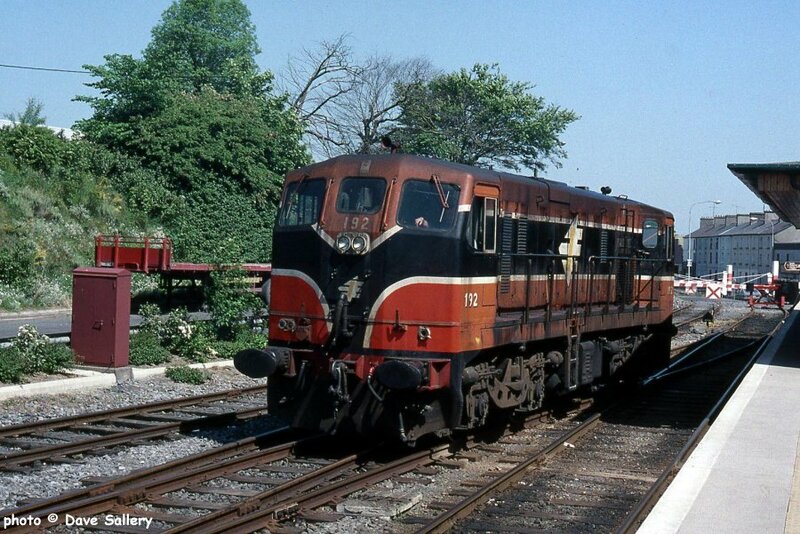 Manulla Junction is one of those odd locations only accessible by train. 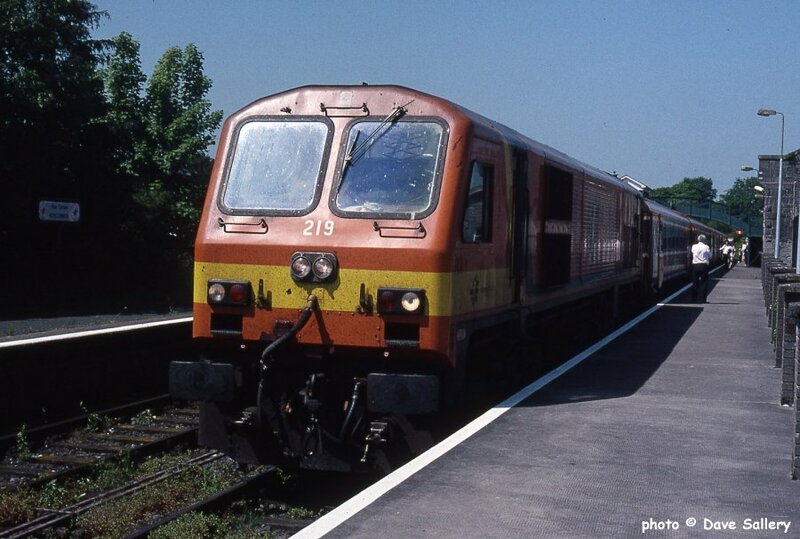 219 is on the train from Westport to Dublin Heuston, 29 May 1997. 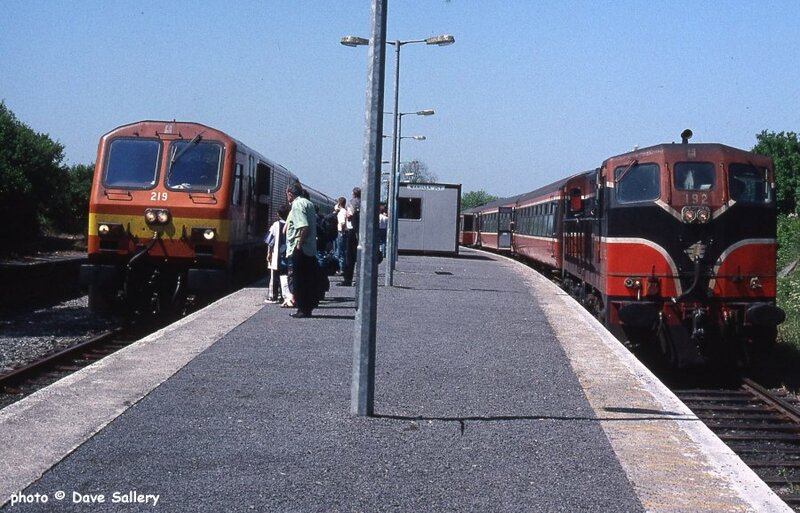 219 at Roscommon on the way back to Dublin, 29 May 1997.